A settlement has been reached in the years-long law suit over increases in non-guaranteed costs of insurance for universal life policy owners. On October 4th Transamerica announced a $195 million settlement for increases announced in 2015 and 2016 that affects over 100,000 policy owners. Ron Sussman, CEO of CPI Companies was an expert witness in the case and an advocate for policy owner rights. Policy owners will receive payments credited to their cash value and a 5 year moratorium on any future rate increases. Securities and Investment Advisory Services offered through The Leaders Group, Inc. Securities Dealer, Member FINRA/SIPC; TLG Advisors, Inc. Registered Investment Advisor; 26 W Dry Creek Circle, Suite 800, Littleton CO 80120, (303) 797-9080. 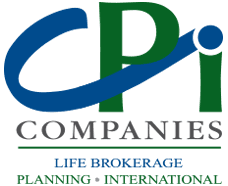 CPI Companies is not affiliated with The Leaders Group, Inc.